IT Professionals Founded in 2005 | Cobalt IT Inc. The Story of Cobalt IT Inc.
Barry Jeung started Cobalt IT Inc. in his apartment in the fall of 2005. At that point he had amassed 10 years of experience as an IT professional and had grown tired of watching other IT companies serve their customers poorly. Believing he could do better Barry started off on his own and soon incorporated Cobalt IT Inc. in 2006 after hiring his first employee. In 2007 the company moved out of Barry’s apartment and rented out a small office in the deli and meat department of an old supermarket. In 2010 Cobalt IT Inc. was fast becoming known as a quality IT services company, and we broke into the VoIP market after dealing with too many legacy phone vendors who knew nothing about networking. 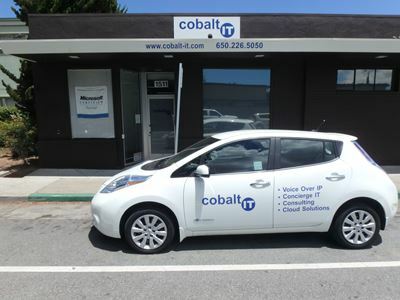 In 2016 Cobalt IT Inc. now headquartered in a simple office with room to grow, has been identified as a reputable IT services and VoIP services company, and is now carving out a name for itself in access control and camera surveillance. What will Cobalt IT Inc. do next? Sign up as a new client and we’ll share the story together.